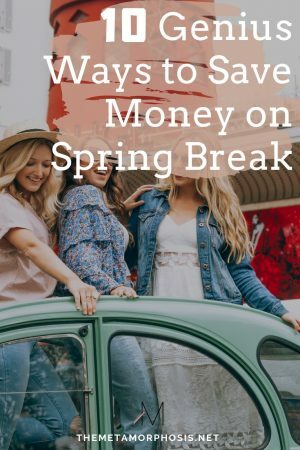 This post is all about how to save money on spring break and while planning for your spring break trip. *Affiliate links are used in this post. Read my full disclosure here. Planning a trip for spring break can be nerve-wracking sometimes when it comes to the cost. But guess what? Your spring break trip doesn’t have to break the bank! In this post, I’m going to show you 10 simple ways to save money on your spring break trip. This can either be when booking your flight + accommodations or having on your vacation for cheap! Before you even begin planning your trip, make sure you set a budget! If you just wing it and try to use your “judgment” on what’s expensive or not, it’ll do more harm than good. Take note of all your other expenses throughout the semester and your income. Then put a reasonable amount to toward your spring break vacation. Once you’ve done this, start looking for vacations that fit that budget, including flight and accommodation expenses. You’re bound to save more money this way! This one is sort of a no-brainer, but I’ll go more in depth. Unless you’re planning to do something solo or visit your family on spring break, I’d recommend making arrangements to split costs with your friends. There are smart and less obvious ways to do this so you can save money on your trip. For example, instead of staying in a hotel, stay at an Airbnb so you get more room and amenities and you can split the cost. Also, instead of doing activities where everyone has to be an excessive amount, do group activities that’ll cut the costs in half, like bowling. Buying groceries and making your own food, rather than dining out all the time will save you a lot of money. Food is an expense that can easily take up most of your budget because we gotta eat, right? By staying in an Airbnb with a kitchen, you can easily prepare your own meals like scrambled eggs for breakfast instead of going out. You can always have dinner out but eating out for all major meals will cost you a pretty penny. This is the ultimate hack for saving money on spring break while making the best of your vacation! Hotels tend to be very expensive, and there isn’t much room for you and friends unless you get a suite. They also tend to have very strict rules about noise levels and pretty much everything that prevents you from having fun. With Airbnb, you can rent a condo or house for you and your friends and avoid dealing with some of these issues. With my link, you get $40 off your first reservation! This is an instant way to save on your spring break accommodations! If you prefer to stay at a hotel rather than an Airbnb, make sure you call ahead to get the best prices. Some booking sites may jack up the price a bit by charging you for extra fees and services, so they profit on your accommodation. You can avoid this by calling the hotel directly and asking them for a quote and for any applicable discounts. Another amazing way to save on your spring break vacation is by using Ebates. Ebates is a cashback website that offers (you guessed it) cash back on over 2500 stores and services. This includes travel companies like Hotels.com, Expedia, Orbitz, and more! To learn more about how Ebates works and find answers to all your cash back questions, read this article. Not everything you do on spring break has to cost you money. There are some things you cannot avoid spending money on, like food, but you can balance it out with free activities. Instead of going to a bunch of shows and bars and places that require you to spend more money, do something that won’t. Free activities include going to a park, walking around the city or area (sightseeing), and going to the beach. The #1 thing I do when I travel is I check Groupon to see what activities and businesses are offering discounted prices. You can usually find a Groupon discount for pretty much every place. 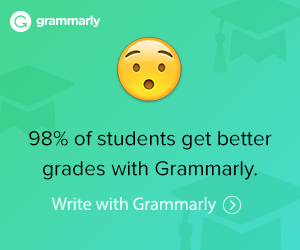 Take advantage of it! They have deals on vacations and getaways + different activities to do while you’re there! It can be very tempting to go overboard when shopping for spring break. After all, we were in coats and sweats all winter, and now we finally get a chance to soak in some sun and wear the latest fashion trends. However, make sure you’re not going overboard buying a bunch of things you don’t need. Don’t convince yourself that you need 4 pairs of rompers, 6 shorts, 5 pairs of shoes, and 1200 tank tops for a 3-day vacation. 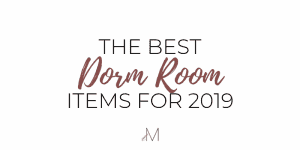 Check out this article for all the must-have spring break essentials for 2019 and a free packing list!